On this trip to Vegas, everyone came out a winner. Regular attendance at industry conferences – like Digital Dealer 21 – is an effective way to stay on top of the innovations, technologies, and strategies that can help you fuel sales, improve ROI, and grow business. This year’s Digital Dealer 21, held August 8-10 in Las Vegas, was no exception. LotLinx was a proud sponsor of this year’s conference. And, as you can see by the photos, we had a great time. A lot of interesting people stopped by booth 432, and we learned so much about them, their businesses, and their needs. 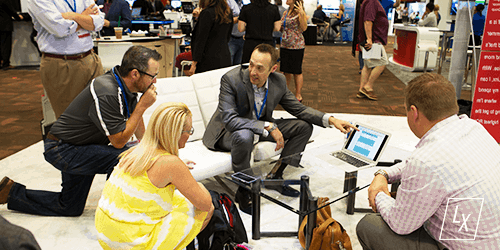 Digital Dealer is always a great place to network with fellow attendees, and gain inspiration from what others are doing, and how they’re succeeding. Year after year, Linxers who attend always come back with loads of great insights, ideas, and stories. This year, we were excited to have the opportunity to share the power of VIN specific campaigns with conference attendees. The LotLinx VIN View Optimizer™, LotLinx Deeplinking™ for Facebook, and more intelligent and transparent dealer reporting are just a few of the innovations that had people talking. 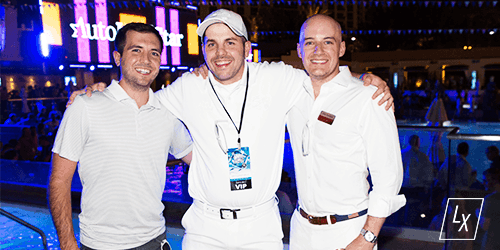 We were also proud to sponsor the Digital Dealer “all white” attire party at Wet Republic. It was a great opportunity to spend time with favorite dealer friends like Brad Paschal of Street Volkswagen. We’re already looking forward to next year’s event in Tampa. If you attended Digital Dealer 21, please share what you saw, heard, and learned with us on social media, using the hashtag #DD21.